Meet the physician behind Monarch. Monarch EFL was founded by Dr. Nicole Artz. Nicole has always felt a deep connection to animals. As a child she was fortunate to spend many hours with the horses at her grandparent’s farm, exploring the 100-year-old barn, catching tadpoles, and experiencing the joy of “just being.” Initially, she was interested in becoming a veterinarian but shifted her focus to medical school mid-way through college. She obtained her MD from the University of Missouri School of Medicine in 1999 and went on to complete a residency program in Internal Medicine and Pediatrics at Loyola, just outside of Chicago. Nicole started her career at Loyola as a teaching attending and hospitalist. Working as a hospitalist, she became interested in providing more comprehensive care to adults with sickle cell disease and accepted a job opportunity at the University of Chicago where she was able to start, direct, and later publish outcomes of a new multidisciplinary program for adults with sickle cell disease. These patients provided valuable lessons in non-judgment, the importance of setting and respecting boundaries, and giving others the benefit of the doubt. Her patient’s debilitating pain and early deaths from their disease led her to pursue additional training in palliative care, and she subsequently became board certified in hospice and palliative medicine. She returned to Loyola to co-direct a new palliative care program, and while in Chicago, recalled her childhood love of horses and began taking riding lessons. She moved to Des Moines in 2012 with her husband, horse, and dogs. She continued to work on her horsemanship and riding with regular lessons and clinics. 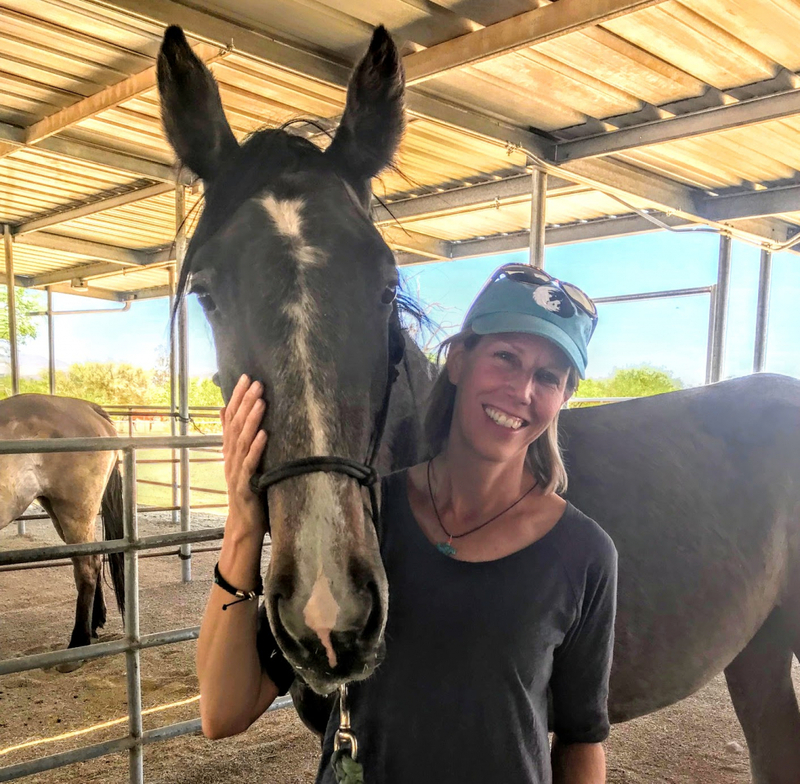 Nicole became interested in equine facilitated learning after attending several workshops with Linda Kohanov, author, founder, and director of Eponaquest Worldwide. Each workshop was incredibly beneficial to her personal growth, relationships at work, and ability to connect more effectively with patients and families. She found herself reflecting on how these skills could benefit all physicians and other healthcare providers and made the decision to complete an apprenticeship program. Nicole is now a certified Eponaquest Instructor. She works at Unity Point Health, Des Moines as part of the inpatient palliative care team and loves facilitating and discovering new insights with clients. Transforming into a monarch butterfly requires the monarch caterpillar to release enzymes that completely digest its former self. But certain key components, called imaginal discs, survive, and guide the formation of the new adult butterfly. Nature surrounds us with amazing examples of what is possible. The name Monarch is a metaphor for the radical transformation that takes place when we allow ourselves to be vulnerable enough to step toward opportunities for growth and change. Of course, this is not easy to do! True transformation takes the hard work of self-awareness, a desire to change, courage to learn and practice new skills, and a supportive learning and growth environment. Monarch EFL’s mission is to improve healthcare provider, medical student, and resident well-being. Well-being is greatly influenced by our ability to form meaningful, sustainable connections with others. By improving our skills in mindfulness (paying attention in the moment, non-judgmentally), self-compassion, setting and respecting boundaries, nonverbal communication, social and emotional intelligence, leadership, and reconnecting with our authentic selves (our “imaginal discs”), we can begin to transform our relationships with patients, colleagues, friends, and loved ones. These skills allow us to care for ourselves and others in ways that continually reconnect us with the joy and meaning in our work. 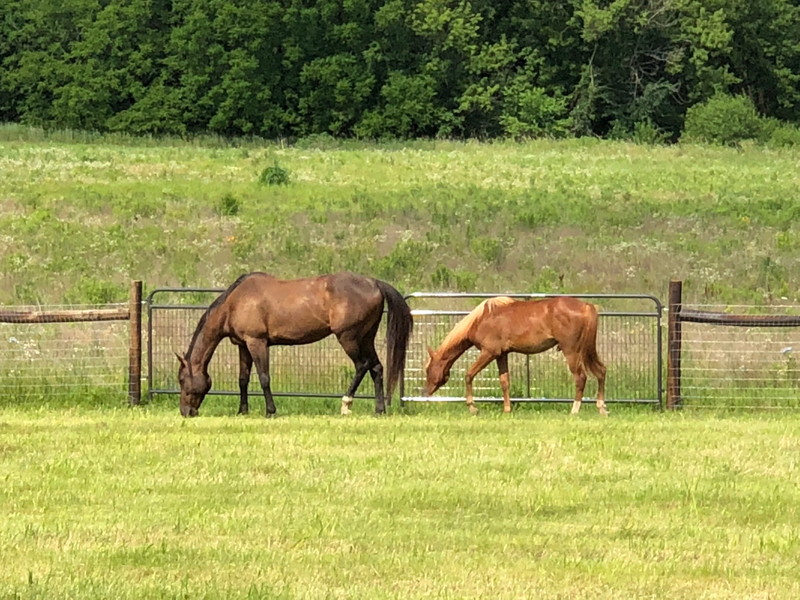 Monarch EFL uses an equine facilitated learning model in combination with other didactic and experiential learning modalities. 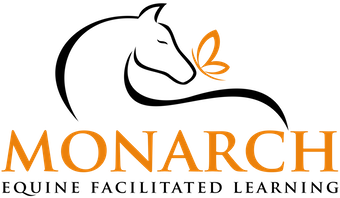 Monarch EFL is located just 15 minutes south of the Des Moines airport near Indianola, Iowa and is a 35-minute drive from downtown Des Moines. Horses are uniquely suited to help humans create meaningful internal change. As highly sensitive prey animals they are attuned to the most subtle changes in environment, including human body language, emotional state, energy, and intention. Horses are honest. Unlike people, they don’t have layers of societal expectations for behavior. They are beautifully authentic and as such, their responses may serve as a mirror, helping us become aware of the effect our nonverbal communication and behaviors (conscious or otherwise) have on others. In addition, horses are large, powerful beings that embody non-predatory power and wisdom. Observing, learning about, and interacting with horses helps us see power differently. Stepping into the arena and completing an exercise with a horse requires courage, clarity, sensitivity, and presence in the moment. In EFL, exercises with horses are metaphors for our relationships with people. Skills learned from the horses improve our relationships- with our colleagues, patients, family, loved ones, and ourselves. Transforming old behaviors or thought patterns is hard work. Horses accelerate the process. Equine Facilitated Learning (EFL), also called Equine Assisted Learning, partners people with horses or other equines to promote development of interpersonal skills for both professional and personal goals. Facilitators lead participants through a variety of direct experiences that are then processed in periods of guided reflection. All horse activities are on the ground and no horse experience is needed.